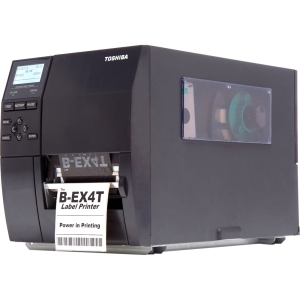 The Toshiba B-EX4T1 combines the tried and tested features and functionality of the B-SX range with enhanced features to increase performance and operational ability. Superb reliability and performance are not only standard in the B-EX range but also affordable. 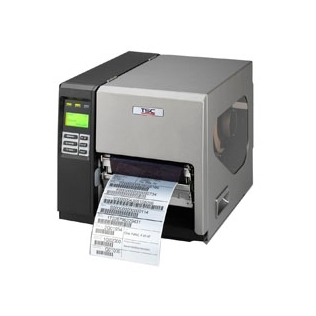 The Toshiba B- EX4T1 range boasts sophisticated features such as data logging, internal file storage, automatic thermal print head DPI detection, simple LAN set up, auto-home positioning and many more. All of these features coupled with a mid-range price tag make for a superb and economical printer. Toshiba has packaged the superior design elements of the market-leading B-SX4 into the matte-black Toshiba B-EX4T1 to provide customers with a high-end industrial product at a mid-range price. 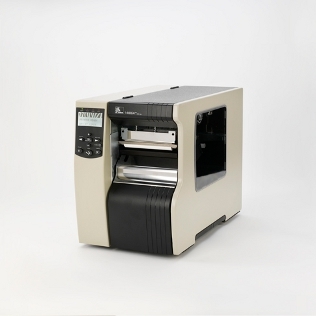 B-EX has a long life print head, reducing running costs. Uses Toshiba Tec ribbons. 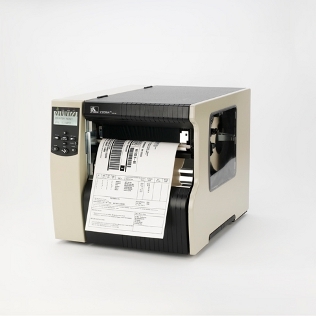 See our Toshiba Ribbons section for prices and details. BarTender ultra-light software included free in the box (not supported).